December is setting its footsteps pretty fast and soon, before we even realize, Christmas will be knocking our doors. This is a well-known fact that Christmas is a renowned festival which is celebrated across the globe, no one really misses their opportunity to expect what Santa is bringing for them this Christmas, and this expectation comes irrespective of age, religion, caste, and creed. While the children set up their expectations in the form of their tiny, colorful socks, the grown-ups tend to pray and wish that something witty and charming happens with their life during this time period. This is because Christmas is the time for spreading happiness, people invite each other for lavish dinners, they go for parties and I doubt there is not even a single person who is unhappy on this day. In this article, you will get to learn new, innovative tactics which you can use to decorate your apartment on Christmas. What are the must decorations for Christmas? What does Christmas remind you of? 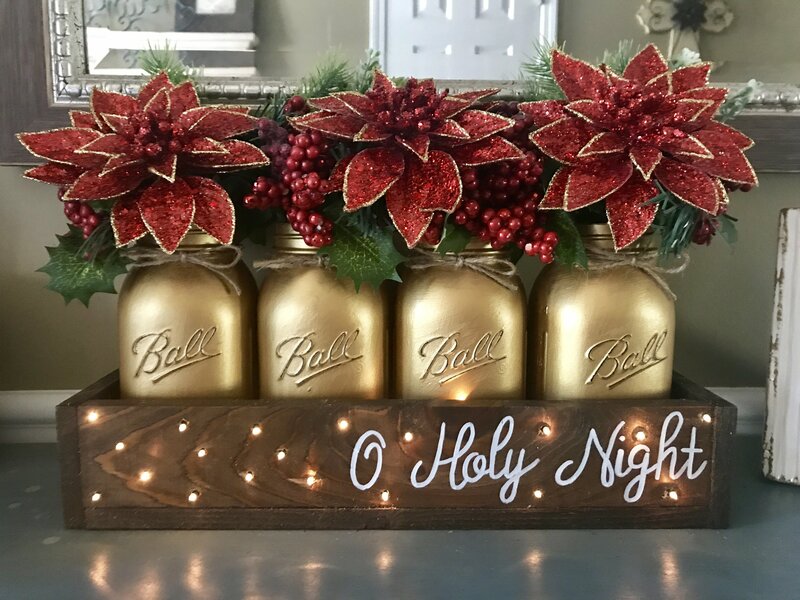 You may be wondering why this question arises for an apartment Christmas decorating, however, the fact is that every decoration, every interior has a story of its own. If you are able to weave that story in a successful manner, then your decoration will be unique and it will simultaneously grab the attention of the crowd. ü A Christmas tree: This is perhaps the first thing which comes to your mind while we are discussing Christmas. ü Bells: With the inception of the song, ‘Jingle bells’, bells are pretty much associated with Christmas. ü Candles: How about a semi-dark room, with lots of big, scented candles and a room full of gifts welcoming you on Christmas Eve? I think it sounds great! ü Snow: Christmas is the festival of winter, so how can we ignore the fact that snow plays an important role while Santa comes on this big sled drawn by four reindeers. ü Santa Clause: Last but not the least, Christmas will be incomplete without the big, fat, smiling Santa Clause in our lives. · Do you really need a big tree? Here is the trick! Why do you need an enormous tree which takes the entire space of your room? Rather it is preferable to have a smaller, prettier Christmas tree which will add an aesthetic sense to your apartment Christmas decorating. What if you do not buy a Christmas tree at all? How about creating a Christmas tree with fairy lights? All you need to do is re-create the shape of a Christmas tree of your preferable size, and accordingly, you can arrange the same on any one of your walls. This saves the space of your small room! How about making a Christmas tree with tissue paper or craft papers? This is for obvious that your creativity will trigger the minds of the spectators and they will appreciate the concept of your condo Christmas decorations. Other materials which you can use are hand-made papers, sandpapers, foam papers. Do you know that you can actually use the branches of a real Christmas tree while you are making the tree on your own? Instead of going the traditional way to decorate the Christmas tree with bells, you can rather create an entire wind chime out of the bells which you have in your collection. The creation of a wind chime is comparatively easier, and it is a matter of craft only. Also, you can hand the bells from your ceiling along with other ornaments to give it a festive look. In this context, you can make the best use of the scented candles you have. You can afford to buy a wide range of scented candles such as blueberry, strawberry, cinnamon and much more. These candles also come in various shape and sizes, so you can also plan a unique candle-light Christmas dinner for your invitees. Snowflakes are one of the most common things which can be spotted on a Christmas. This is why they should be a must-have element. You can purchase artificial snowflakes or you can also make them with your creativity and imagination. It will be better if you stick them on -your rear windows, otherwise, snow sprays are an easy-to-go option which you have. In this case, the best option for you will be dressing up as Santa. Other relevant options could be dressing your cute dog or cat like Santa. Imagine your own, favorite Santa welcoming your guests with a bucket-full of love in their gestures! ü If you are having guests for dinner, do not forget to decorate and present your food in a proper manner. It can include making a ginger-bread house as your appetizer. ü It is always better to gussy up the chairs in your house to provide a festive ambiance to your guests. ü Creating handmade wreaths are always a good idea. ü It is better to make proper use of the white Christmas lights along with the candles to create a subtle and soothing ambiance. Moreover, you can always add your personal Christmas touch to the decorations. For example, you can decorate your fridge as a snow-man or a polar bear. You can use the wrapping papers to create small but interesting thankyou notes, it is always important to play soothing music on Christmas, although it is not directly related to the condo Christmas decoration, it is important to complete your story on a soothing note. Why are you waiting then? It is high time, you figure out how you exactly want to go with your apartment Christmas decorating, and according to that, you need to start purchasing the necessary things. Now when you purchased all the things for the decorating, Book Easymove to deliver decorations to your home.